YouTube/TheEllenShowThe Barden Bellas are back. 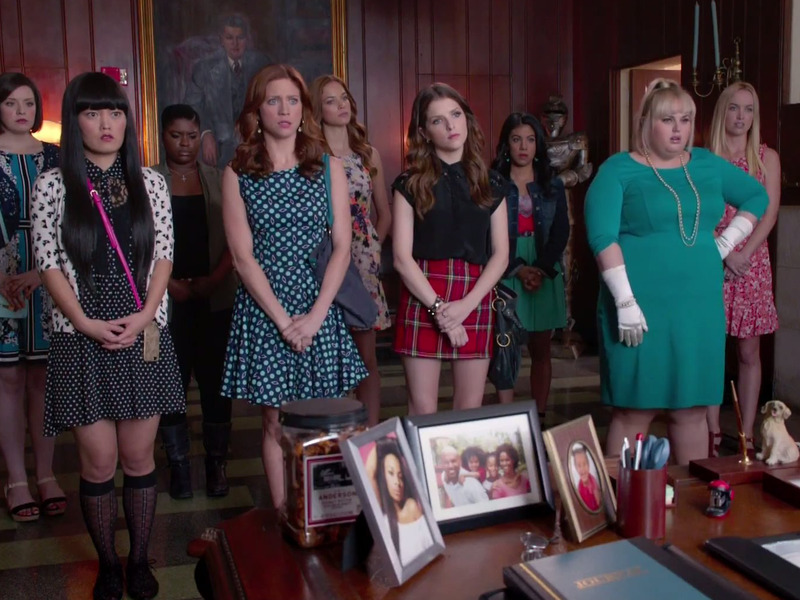 The first trailer for “Pitch Perfect 2” came out Thursday and the sequel looks even funnier than the original. The whole cast is back: from Anna Kendrick as the eye-rolling rebel Becca to Rebel Wilson as the confident and unapologetically badass “Fat Amy.” Even Elizabeth Banks and John Michael Higgins return as the raunchy commentators that nearly stole the first movie with their one-liners. Brittany Snow, Anna Camp, Skylar Astin, Adam DeVine, and Benn Platt also star, and “Ender’s Game” and “True Grit” actress Hailee Steinfeld joins the cast as a Bella pledge. The movie busts into theatres May 15, 2015. The trailer even opens with a new rendition of “Cups,” a song that snared mega radio play after the first movie’s success. “Pitch Perfect 2” released the first poster, too, which the stars have been tweeting.